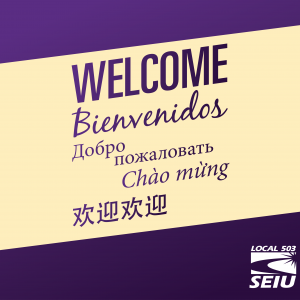 As SEIU members we have a lot to be thankful for. 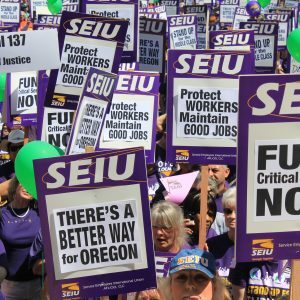 SEIU members in Oregon do better than workers in states without a strong union. Because we are together in union, we aren’t alone. SEIU is there for you when you least expect it, but need it the most, like when you’re mistreated or wrongfully terminated. SEIU members are eligible for free college courses, up to 20,000 in life insurance, and discounts on everything from legal advice to car rentals. This includes discounts on travel and gifts for the holiday season. And we also have a lot to fight for. 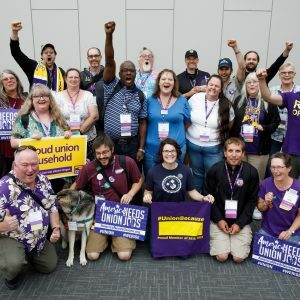 In 2019, 90% of SEIU 503 members will bargain a new contract. Everything from wages to benefits to time off will be up for negotiation. We are in a very good position to make gains because members are choosing to remain in union, which allows us to bargain from a position of strength. Members from across Oregon are sharing why they are choosing to be in union.